A little family birthday party that simple and sweet. 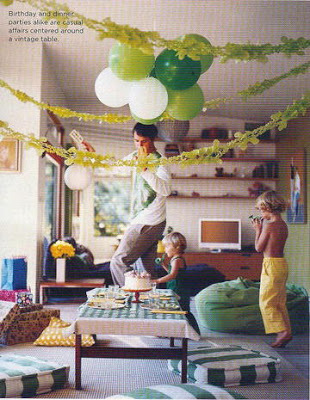 I want some of that green paper garland, and I like the idea of hanging the balloons upside down. The post Simple and Green appeared first on Darling Darleen | A Lifestyle Design Blog .